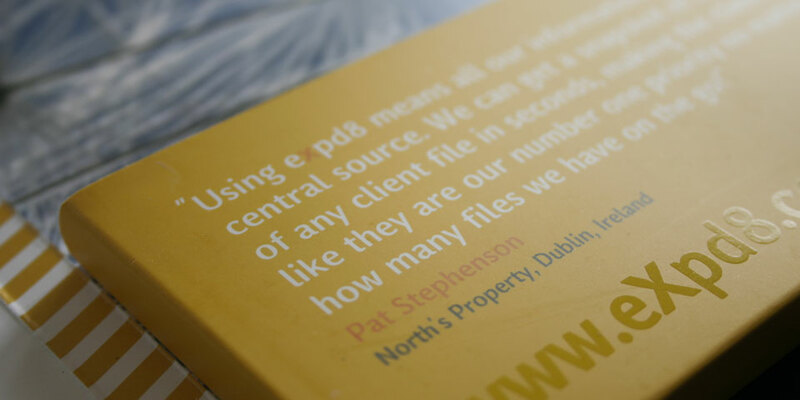 expd8 works with the world’s leading suppliers to create a complete data software solution for your business. Their aim is to enhance your business in every way to make your office more efficient and hugely cost effective. Outside was chosen to develop a suite of marketing material to enhance their profile and act as a continuous sales tool for the company. 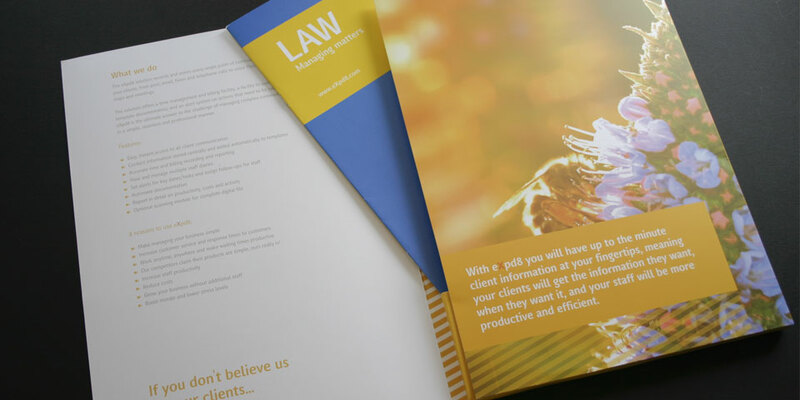 Wanting a high visibility factor for their clients who would largely be inundated with bland legal type brochures, we chose to be daring with our selection of colour and usage of large imagery. 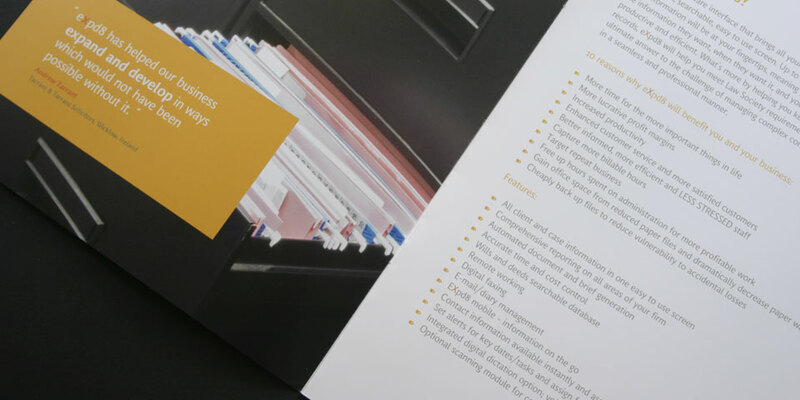 A folder was devised to hold an assortment of interchangeable brochures, allowing the base folder to be used consistently, and then tailored for each client with its included brochures, leaflets and business cards. 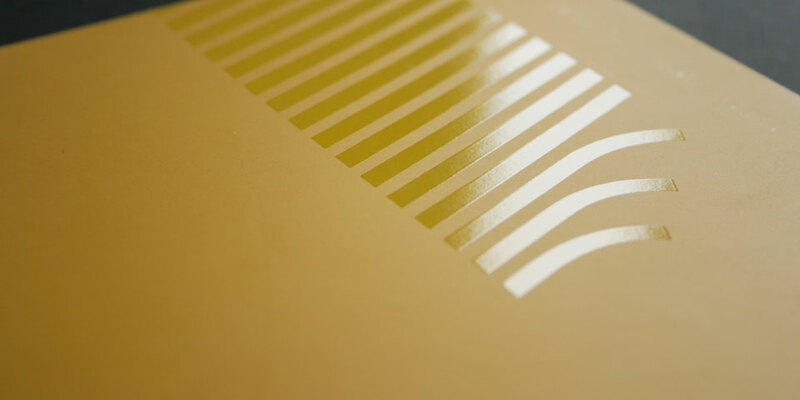 The folder was specially die-cut and glued, and a UV varnish was applied in key areas to highlight the graphic and web contact details. 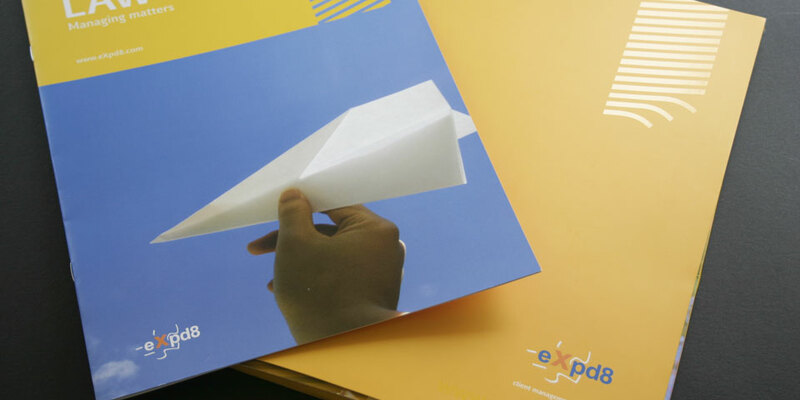 A brochure template and accompanying CD Rom pack were also developed to compliment the folder.